Download the XQuartz X-Windows manager for OS X (macOS). Logout and back in to make XQuartz the default X11 server. SSH to the remote host including the -X or -Y option. The -X enables X-forwarding. Sometimes, you might need to use -Y instead. This enables trusted X-forwarding. 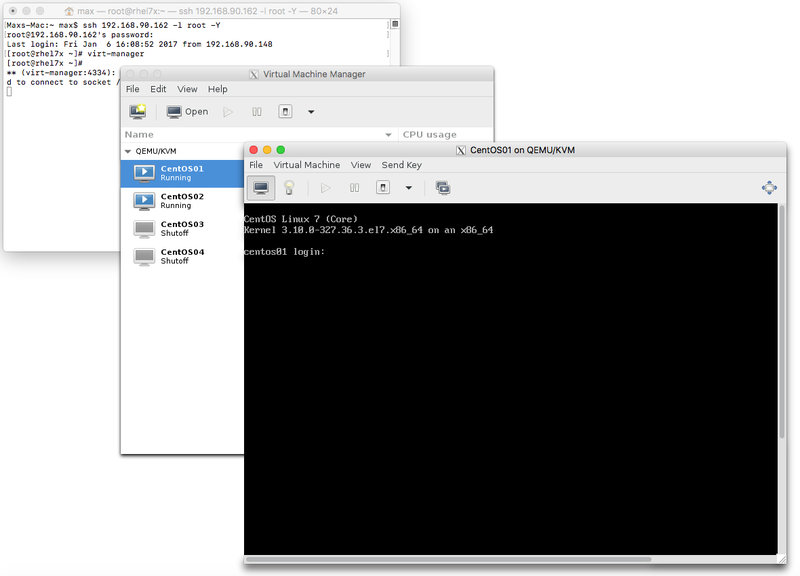 Launch the application within the SSH session.In the example image below I have a SSH session to a RedHat host with KVM running and launched the VM Manager from the SSH session.